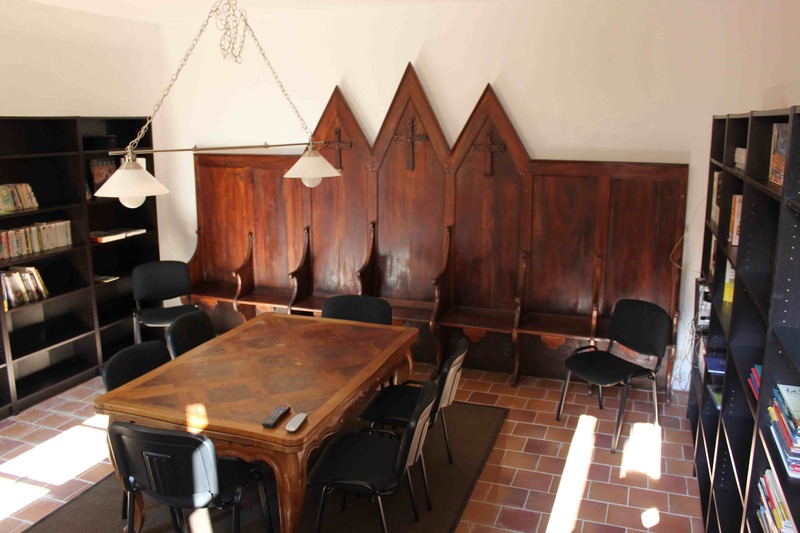 The school is located in a former monastery which has been tastefully renovated. Guests will be treated to delicious Provencal, gourmet dishes. 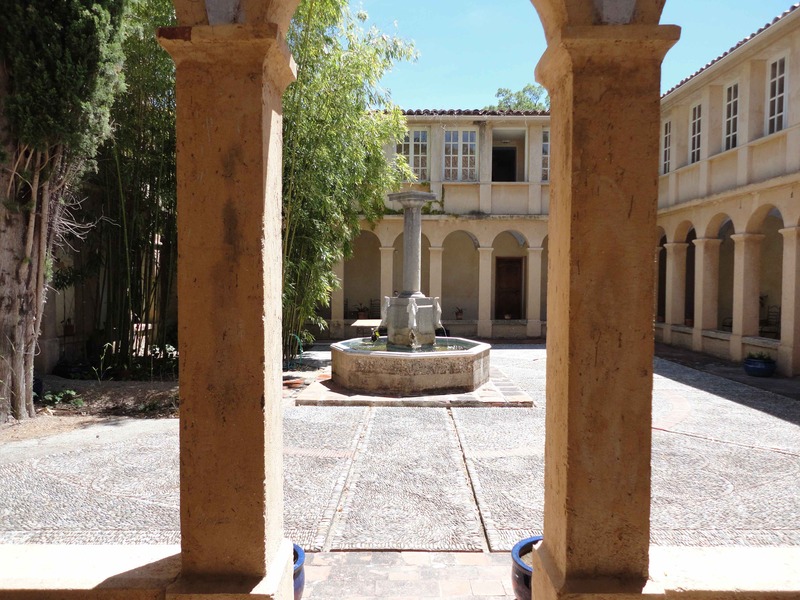 Within the 8 hectare monastery grounds, you will find gardens, kitchen garden, a large swimming pool, indoor courtyards, sitting rooms, library. Free wi-fi available. The beautiful and peaceful setting of the place only adds to the language learning experience. Residential one, two or three week courses in total immersion. International adult public, studying French for pleasure or needing it for work purposes. Qualified and experienced teachers, combining professionalism and a passion for the region. They share mealtimes and evenings with you and accompany all activities. Courses in small groups (3 to 6 people per level). Per course maximum 25 people on the site. For all levels but beginners. 6 cosy comfortable classrooms, equipped with TV, CD and DVD player. Certain courses can be given in the garden.. 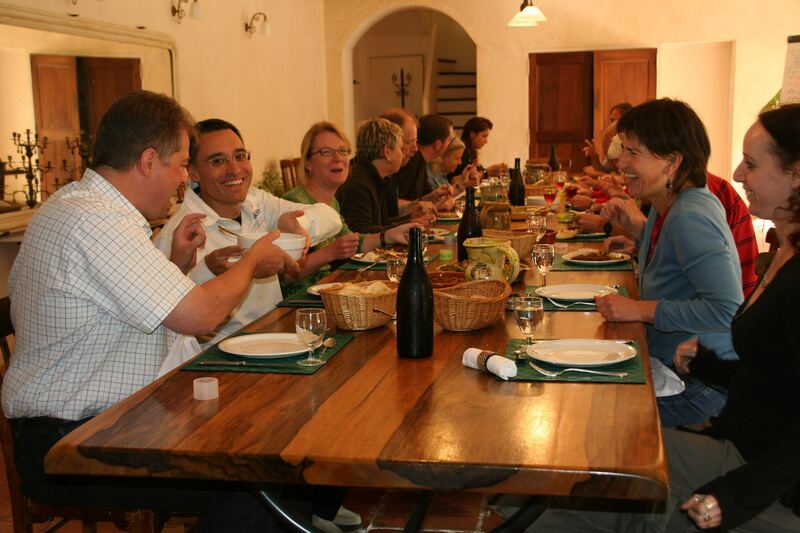 Delicious meals in the company of the teachers, with fruits and vegetables coming from the own gardens’. A relaxed atmosphere to make learning French a real pleasure. 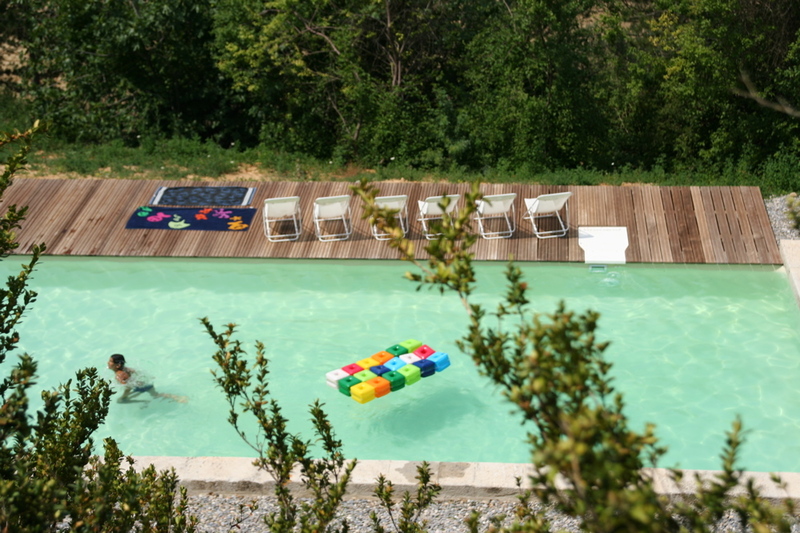 CREA-Langues welcomes you in a delightful peaceful setting : a renovated Cistercian monastery tucked away among olive groves and fields of lavender. Its cloister, internal courtyards, its domain of 16 acres are places where you will want to study and relax. 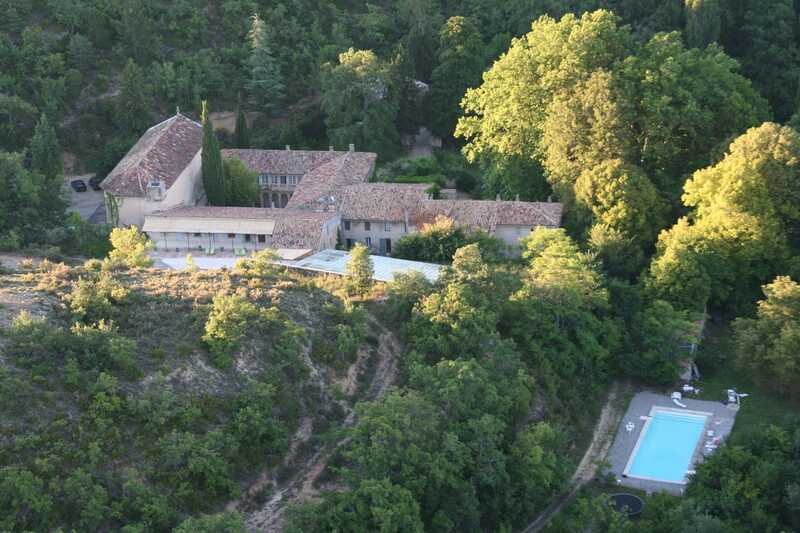 We are at 6 km from Moustiers, which is classified as one of the most beautiful villages of France. Cobbled passage-ways, shady squares, little bridges and waterfalls make this village particularly picturesque, clinging against the rocks. The school is in the heart of the ‘Parc Naturel du Verdon’, at 15 km from the «Gorges du Verdon», the deepest canyon of Europe. The lake of Sainte-Croix, just 10 kms away, is ideal for water sports. Riez-la-Romaine at 9 kms, has a thriving twice-weekly market. Numerous festivals take place in the neighbouring villages and towns. The international airport Marseille-Marignane is at 1h30’ from the school, Aix-TGV station at 1h15’.